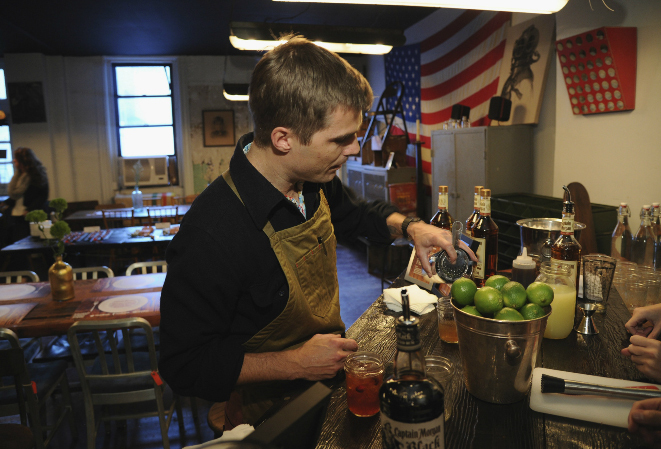 Recently in New York City “Top Chef” judge Hugh Acheson worked with Captain Morgan Spiced Rum to launch the rum’s charity program called Captain’s Table at City Grit. Chef Hugh prepared some phenomenal rum-infused food and cocktail recipes. He also was kind enough to share a few cooking tips that are perfect for this holiday season. Hugh is not stopping there. He is looking to have others, who are 21 years and older to share recipes and entertaining tips. This all benefits the worthy cause called WhyHunger. This is a charity that seeks to end hunger by connecting people to nutritious, affordable food. In the spirit of giving Captain Morgan will donate $1 to the charity WhyHunger to support their hunger relief efforts every time the hashtag #CaptainsTable is used on Twitter, Instagram and Pinterest. Donations will be made now through the beginning of February. The cool part is that we all like share our latest dinner creations and holiday treats so why not help out those in need when you do so. To get you started here are a few recipes that you can use for upcoming holiday parties. In mixing glass muddle the cranberries, ginger, and simple syrup. 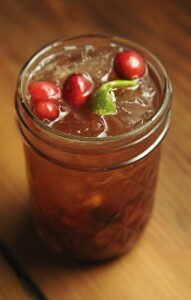 Add the bitters and Captain Morgan® Black Spiced Rum, cranberry and limes juices and shake with ice. Pour into a double old-fashioned glass, ice and all, smash style. Garnish with an expressed lime peel. Combine the Captain Morgan Original Spiced Rum, apple cider syrup, lime juice, bitters, and 1 piece of star anise in a cocktail shaker and shake vigorously. Strain the liquid into a cocktail glass. 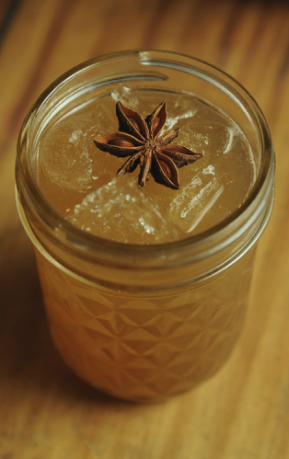 Garnish with the other piece of star anise. In a small saucepot over medium-high heat, cook the apple cider and cinnamon sticks until the cider is reduced to one cup, about 10 to 15 minutes. Add the brown sugar and remove the pot from heat. Stir the mixture until the sugar is dissolved. Allow the syrup to cool before use. Preheat oven to 350°F. Butter and lightly flour a medium cast iron pan and set it aside. In a small saucepot set over medium-high heat, combine the Captain Morgan Original Spiced Rum and dried figs and bring the liquid to a boil. Remove from heat, mix in the baking soda, and set the mixture aside to cool for later use. In a food processor, combine the flour, butter, baking powder, salt and sugar. Pulse the processor until all is incorporated. Place the flour mixture into a mixing bowl and add the eggs, vanilla and the reserved fig mixture. Combine until all ingredients are well incorporated. This will be a fairly wet batter. Add the batter to the cast iron pan and bake for 35 minutes. While it’s cooking is a good time to make the sauce. 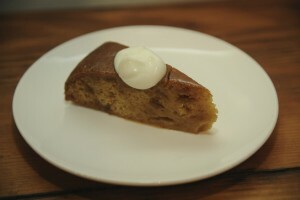 Check the pudding with a cake tester to see that it comes out clean, and remove it from the oven. Flip the pudding in the cast iron pan and add ¾ of the sauce and then bake for an additional 10 minutes. Let the pudding cool and absorb all of the sauce. Slice it into wedges and serve with the remaining sauce and 1 tablespoon of yogurt per serving. In a small saucepot over medium heat, combine the maple syrup, heavy cream, rum, bay leaves, and butter. Whisk often to prevent the sauce from bubbling over. Reduce the liquid to 1 ½ cups, about 15 minutes, and remove from heat. Remove the bay leaves before using. Print article This entry was posted by Art Eddy III on November 21, 2013 at 6:26 pm, and is filed under Lifestyle. Follow any responses to this post through RSS 2.0. Both comments and pings are currently closed.